The VHDL source code provided below has been generated by members of the Cryptographic Engineering Research Group (CERG) at George Mason University in the period from January 2010 to April 2015. The detailed assumptions formulated in E. Homsirikamol and K. Gaj, "Hardware Benchmarking of Cryptographic Algorithms Using High-Level Synthesis Tools: The SHA-3 Contest Case Study," Proc. 11th International Symposium on Applied Reconfigurable Computing, ARC 2015, Bochum, Germany, April 15-17, 2015, pp. 217-228. Primary Optimization Target: Throughput/Area; Secondary Optimization Target: Throughput. No use of embedded resources, such as multipliers, DSP units, or Block Memories, in the hash cores. We reuse the same VHDL code to implement both 256 and 512 variants of all hash functions with the help of generics. A user needs only to select an appropriate value, HASH_SIZE_256 or HASH_SIZE_512, for the generic 'h' or 'hs' present in the top level entity. The VHDL file containing the top level entity of the given hash function is indicated in the source_list.txt file present in the 'sources' folder obtained from the zip file. The GMU Interface and Communication Protocol Used in the Implementations of the SHA-3 Round 3 Candidates (non-pipelined architectures). No salt, No special modes of operation. No use of embedded resources, such as multipliers, DSP units, or Block Memories. The GMU Interface and Communication Protocol Used in the Implementations the SHA-3 Round 3 Candidates. No padding unit (i.e., input is assumed to be already properly padded). No use of embedded resources, such as multipliers, DSP units or Block Memories. Datapath width = Internal state size. The GMU Interface and Communication Protocol Used in the Implementations the SHA-3 Round 2 Candidates. The VHDL file containing the top level entity of the given hash function is indicated in the source_list.txt file present in the 'sources' folder obtained from the zip file. The only exception to this rule is SIMD, in which VHDL code for 256 and 512-bit variants are in separate folders inside the zip file. The results for all of the above listed implementations are available in the ATHENa database. In order to get familiar with the database please start from reading its help. 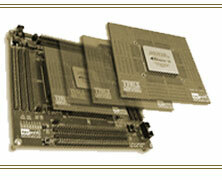 Xilinx Virtex 5, and Virtex 6. Xilinx Spartan 3, Spartan 6, Virtex 4, Virtex 5, and Virtex 6. Please note that for some large designs, it might have been impossible to implement them using certain low-cost families. You can use filters at the bottom of the Hash Function Results Table in the database in order to limit your view to implementations of a particular algorithm, using particular family. In order to distinguish between the Round 2 and Round 3 versions of the same algorithm, please click on the header Algorithm, and then specify in the filter for the Group, SHA-3 Round 2 or SHA-3 Round 3, respectively. In order to investigate any particular result in detail, please click on its ID. An overlay window should appear. In order to compare two results, please choose one result (by clicking anywhere within a line corresponding to this result), and then choose another one you would like to use for comparison. Then click on the "Compare Selected Results" button. Locate the result in the ATHENa database, using available filters and search functions. Click on the result ID in the left-most column. Scroll to the bottom of the overlay window, to the category Other, and the field: Result Replication Files: link. Right-click on the string "link" and download the associated file <Result ID>.zip to a selected folder of your choice. Unzip the obtained file. Get familiar with the readme.txt file located in the main folder after decompression. Copy source code used to generate a given result, downloaded from this web page, to the folder src of the replication folder. Run the replication script, called 'run', to re-generate the result. In Windows, this can be done either by double-clicking on "run.bat", or calling this script from the command-line window. In Linux, the user may need to change the ownership of "run.sh" first, by calling "chmod +x run.sh" in the console window. Afterwards, the user should call the "./run.sh" command. Check implementation reports generated by the FPGA tools, these reports are generated as *.log and *.twr files and are located inside the replication folder. kat : Known Answer Test folder containing test vectors used to test our designs. sources : Source files folder. tb : Testbench files folder. Perform functional verification with sha_tb_all as your top level entity. Please contact us with any ideas about the desired features of our code, error reports, questions, etc. Please indicate if you would like to receive e-mail notifications about the releases of new versions of our source code. You can also contact directly the primary author of a particular code (typically a graduate student), using name and an e-mail address provided in the fields Primary Designer Name(s) and Primary Designer Email(s) in the detailed view of any result obtained using that particular code.